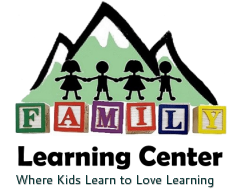 The mission of the Family Learning Center is to provide high-quality early childhood learning programs for young throughout all of Eagle County, Colorado. Tuition is charged below cost in order to be affordable for all families and sliding-scale rate options are available to those in need. We want all children and families to have access to early education programs regardless of income level. When our children succeed, our community succeeds. The Family Learning Center is reliant on the generosity of foundations and individual donors in order to achieve our mission. Please consider becoming a "Champion for Children" today! By contributing to the Family Learning Center, you have the unique opportunity to direct a significant portion of your Colorado Income Tax liability toward building a stronger community. We are a qualified organization for purposes of the Colorado Child Care Tax Credit, which provides you with a State tax credit at a rate of up to 50% of your cash donation. This is in addition to Federal and State tax deductions. The Family Learning Center appreciates the generosity from the community and current active contributors, that make the mission statement a reality everyday for the children of FLC. If you would like to make an in-kind donation please ﻿send us an email and someone will contact you shortly.